SpaceX's monstrous new rocket has officially arrived at Kennedy Space Center in Florida ahead of its debut test launch. Elon Musk -- who founded the space exploration firm in 2002, one year before he launched Tesla (TSLA) -- tweeted photographs of the Falcon Heavy awaiting its big moment inside a SpaceX hangar. The exact date of the Heavy test launch isn't clear. The plan was to launch before the new year, but a series of delays pushed it into 2018. A tweet posted to SpaceX's verified account on December 6 said the company is targeting "early January." When the time does arrive, it'll be a nail-biting moment. Musk said at a conference in July that he expects the test flight to fail. If it does, among the carnage will be Musk's personal Tesla Roadster. He said earlier this month that he wants to send the car into "Mars orbit." It was later clarified that it'll aim for an orbit around the sun that will, at times, put the car and Mars at equal distances from the sun. If the test flight is successful, it'll be a major milestone for SpaceX and the spaceflight industry. The Falcon Heavy will be the most powerful rocket in the world, according to specs provided by SpaceX. The only rocket to boast more power than the Heavy was the Saturn V, the NASA rocket that was used for the Apollo moon landings that was retired in the 1973. 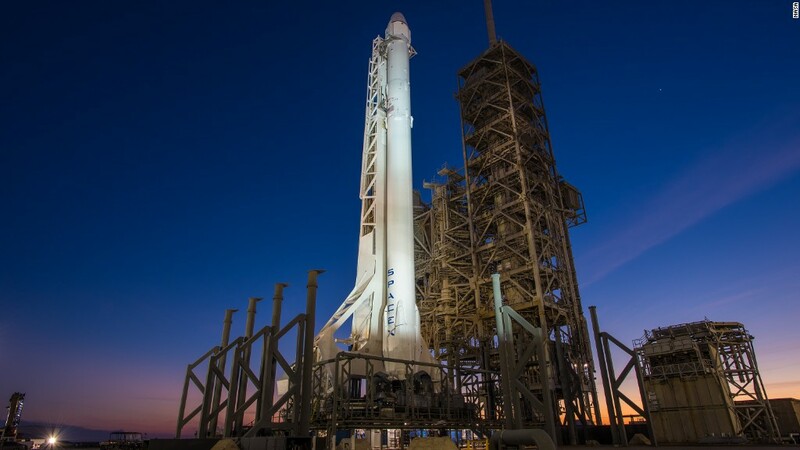 The Heavy will have nearly three times more thrust than the Falcon 9, the rocket SpaceX has used for its past 40 missions dating back to 2012. Standing at 230 feet, the Falcon Heavy is the same height as the Falcon 9. The Heavy's added thrust comes from two additional rocket boosters strapped to the sides of the main column. For the test launch, the two side boosters will actually be refurbished Falcon 9 boosters that have flown on previous missions. Reusing hardware is SpaceX's defining trait. The company has mastered the art of guiding rockets back to Earth for a safe landing after liftoff so they can be used again on future missions. That allows SpaceX to drive down the cost of a single launch. So far, SpaceX has safely landed 20 Falcon 9 rocket boosters. After the Heavy test flight, the company will attempt to land all three rocket boosters.